With an almost silvery shimmer, this capiz adorned butterfly features feathery lines of shell radiating from its central core. 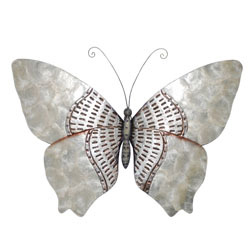 This is punctuated with strong dashed lines done in a rusty metal finish that also spread from its body. 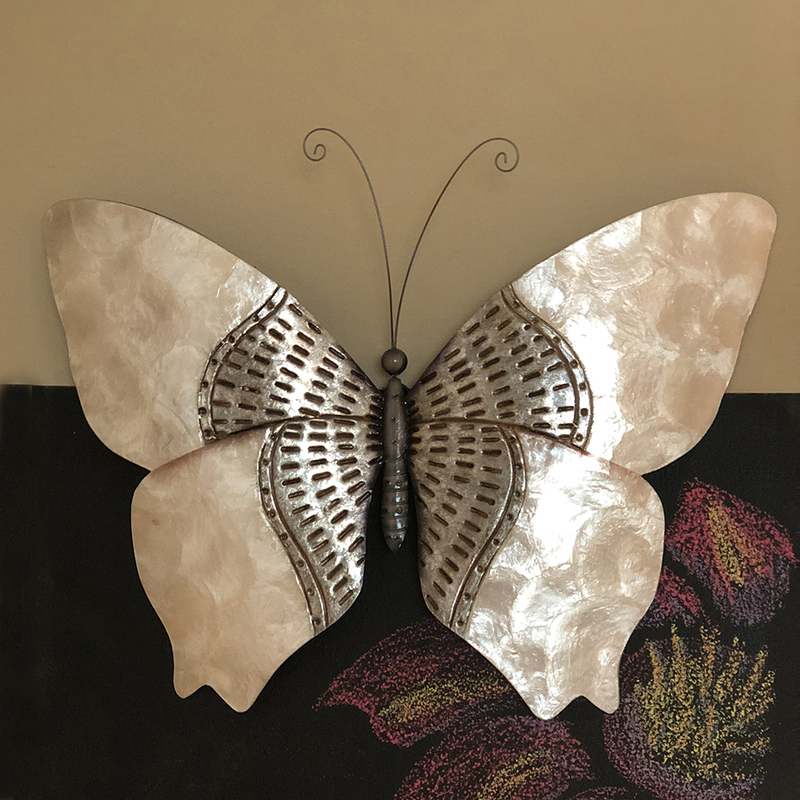 Cool, calm, and beautiful, this butterfly emanates sophistication.